Feast your eyes on this Black Forest Decor exclusive! 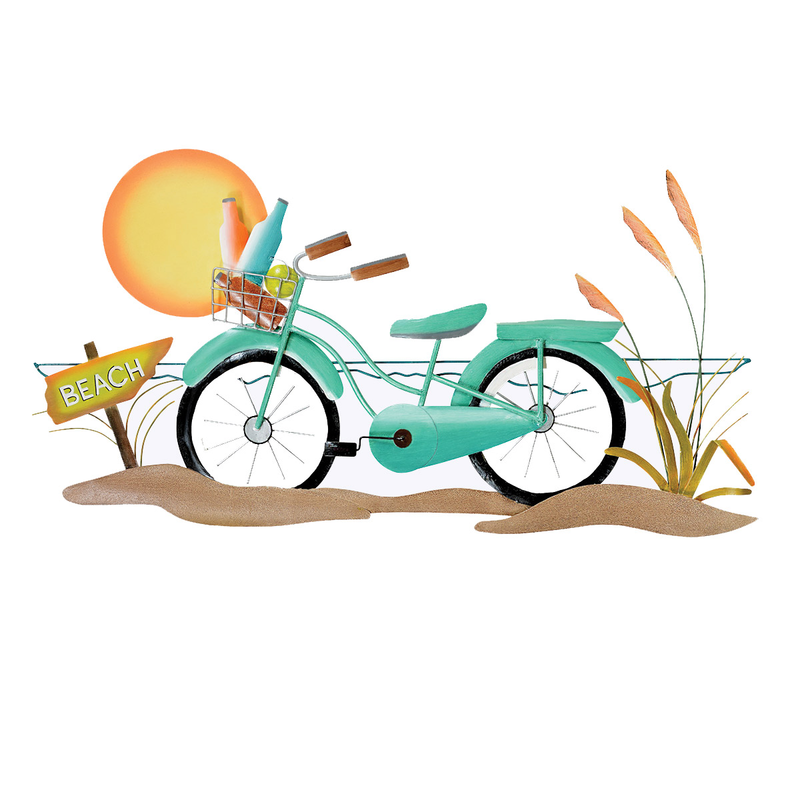 Handcrafted metal beach bike scene with dimensional effect. Size is approximate because of handcrafting. Allow 2 weeks. This beach wall art measures 40"W x 2"D x 22"H.
For more offerings, we invite you to take the occasion to review our whole inventory of beach wall art at Bella Coastal Decor now.